#1,200: Hello ... Hello ... my old friends ... It's great to see you once again! Esoteric Recordings (an imprint of Cherry Red Records), the people who brought you the rather nice expanded CD and vinyl editions of those four (4) studio albums by The Move (and the "Something Else" EP) earlier this year, are releasing a new expanded CD/DVD compilation on Friday 27th January 2017 entitled: "Magnetic Waves Of Sound: The Best Of The Move". CD: (1) "Night Of Fear" (mono); (2) "I Can Hear The Grass Grow" (mono); (3) "Wave The Flag And Stop The Train" (mono); (4) "Kilroy Was Here" (mono); (5) "(Here We Go Round) The Lemon Tree" (mono); (6) "Walk Upon The Water" (mono); (7) "Flowers In The Rain" (mono); (8) "Fire Brigade" (mono); (9) "Wild Tiger Woman (mono); (10) "Blackberry Way" (mono); (11) "Curly" (mono); (12) "Hello Susie"; (13) "Cherry Blossom Clinic Revisited"; (14) "Brontosaurus"; (15) "When Alice Comes Back To The Farm"; (16) "What? "; (17) "Ella James"; (18) "Tonight"; (19) "Chinatown"; (20) "California Man"; (21) "Do Ya"
The two (2) disc set features a 21 track CD that includes hit tracks from "Night Of Fear" all the way through to "California Man", some in mono and some in stereo. Quite possibly, it's the most complete overview of The Move's releases in single and EP format on a single disc, ticking many of the boxes for fans of both Roy Wood and Jeff Lynne. Coupled with the CD, is a DVD featuring twenty one (21) visual nuggets of The Move from BBC and German TV archives between 1967-70 including their legendary Colour Me Pop appearance and the ultra-rare promo video for "I Can Hear The Grass Grow". 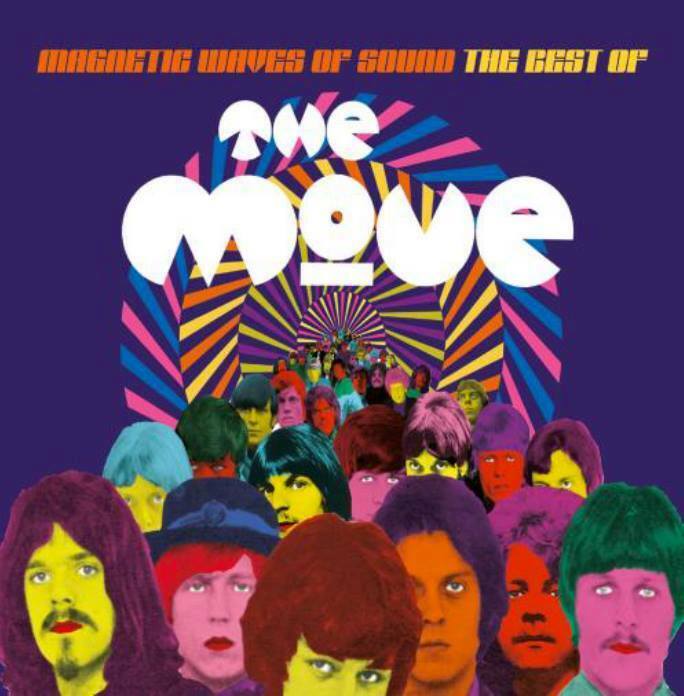 elobeatlesforever (elobf) recommends "Magnetic Waves Of Sound: The Best Of The Move" by The Move to those enlightened folks who enjoy the music of ELO, Jeff Lynne, The Move, Roy Wood, The Idle Race, 'Brum Beat', The Beatles and related artistes.